The PointsBet app is a great tool to enjoy the spread betting experience on-the-go. This PointsBet app review focuses on the pros and cons of the mobile application provided by the bookmaker. We also to share with you details on access to hundreds of betting markets and compatibility requirements. How do I download the PointsBet app? 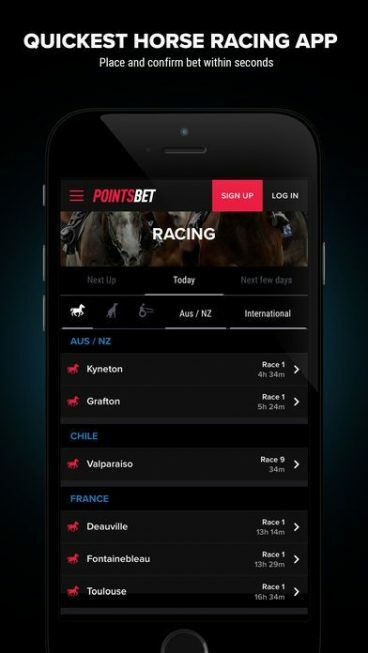 Aussie players looking to download the PointsBet mobile application have to follow a few easy steps. Then, iPhone users need to download the app from the App Store; and Android users, have to go to PointsBet website, download the designated Android file and follow the instructions. The app is available in English only, and it is free to download. 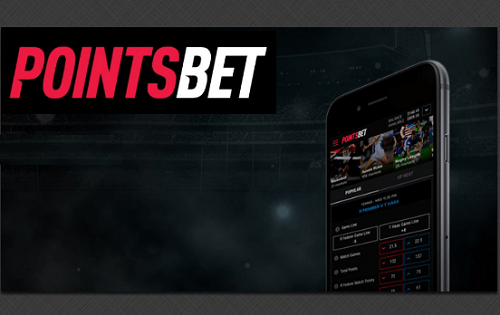 PointsBet offers a sign up bonus of $200 in bonus bets to their customers who meet the terms and conditions. If a PointsBet promo code or other welcome bonus becomes available, we will update this page. The first great thing about the PointsBet app is that Australian players get to enjoy and bet on sports betting markets from AFL, NRL, NBA, NFL and more round-the-clock. It gives you access to every race of thoroughbred, harness and greyhound around the world. The app is a great alternative to enjoy spread betting on the move, especially for more skilled players. Very straightforward user journey to withdraw your funds. Below are the most popular questions asked by potential PointsBet users have asked regarding the usability and potential issues that the app can cause. Ways of betting with the app and methods of managing the member’s account seem to be among the most common things players are concerned with. How can I bet using the app? Australian players should remember that, with spread betting, if their bet wins by one unit, they could win 1x their stake. If they lose by 1 unit, then a 1x stake is lost too. Payments, both deposits and withdrawals, can be managed in the app just as you manage them when accessing your account from your computer. Add or take money from your account. You can then carry on betting with your recently deposited funds, or with the remaining ones. Is there a mobile-specific bonus available? At the moment, PointsBet doesn’t offer any promotions that can be eligible only to customers using its mobile version. However, all offers that are advertised on the desktop version are also available for mobile users. Without further ado, we need to say that the PointsBet app is good to have and to try out especially if you don’t always have a laptop or a PC nearby. With its simple and clear functions and neat interface, the app can be of great use to players on-the-go who are looking for an easy and quick way to bet. There is a great bonus offer on the corner for players who are thinking about using the PointsBet app. The offer is available to all PointsBet customers who sign up via the website or the mobile app. New members can win up to $100 money back offer on selected horse races. Same as with any offers, there are various terms and conditions set by the operator but once you check them all, you are free to enjoy the deposit offer of $200 in bonus bets.